New Contest Celebrating New Release! 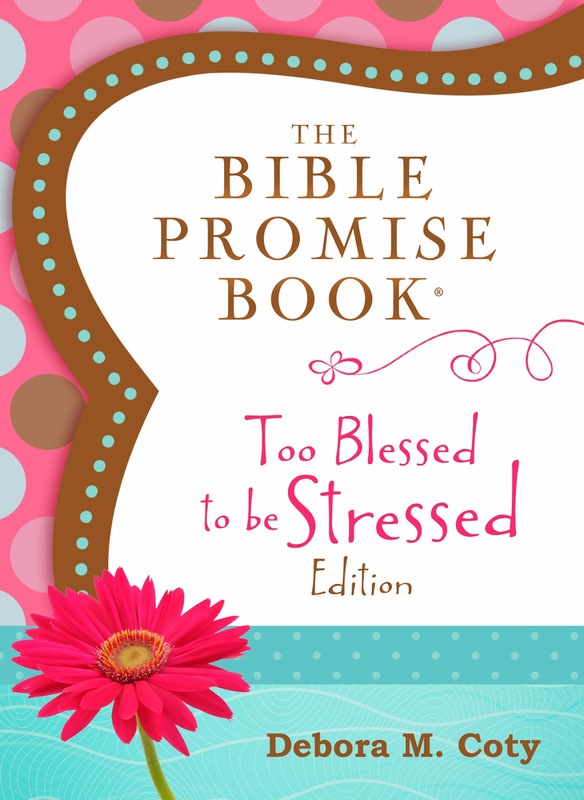 I’m thrilled to announce the April release of The Bible Promise Book: Too Blessed to be Stressed Edition. Want to know what Papa God has to say about specific issues like how to deal with difficult people, relentless worry, and coping with loss? This adorable little book features over 100 scriptures related to inspiring themes and excerpts from my book, Too Blessed to be Stressed. You’ll find yourself pulling this scripture reference off your shelf again and again when a problem arises and you need answers. Or you just can’t remember where that particular verse is in the Bible. Or you’d like to support a friend going through a hard time with an uplifting promise straight from Papa God. In other words, tell me your favorite Bible verse that contains a promise. E-mail me your answer at gracenotes@deboracoty.com and not only will you be eligible to win a free book when I draw the winners on April 30 (you’ll have them in time for Mother’s Day! ), your name and promise fave will appear right here on this blog in early May. If you’re not already subscribed to my blog, be sure to subscribe now (look to your right for the subscription box) so you won’t miss it! Thanks, dear friend, for sharing in my joy and awe of another amazing grace note from our Papa! I hope to hear from you soon. My favorite bible verse is "I will never leave you nor forsake you." Be strong in the word of the Lord and in his mighty powers. My favorite Bible promise is from Jeremiah 29:11 For I know the plans I have for you, Declares the Lord, plans to prosper you and not to harm you, plans to give you hope and a future. My favorite Bible promise is "I know the plans I have for you, Declares the Lord, plans to prosper you and not to harm you, plans to give you hope and a future. My favorite Bible promise is John 10:10 "My purpose is to give them a rich and satisfying life." I like this because when times are tough and I'm struggling, it reminds me that things will get better and to put into perspective what God sees as a rich and satisfying life–not what the world sees as one.